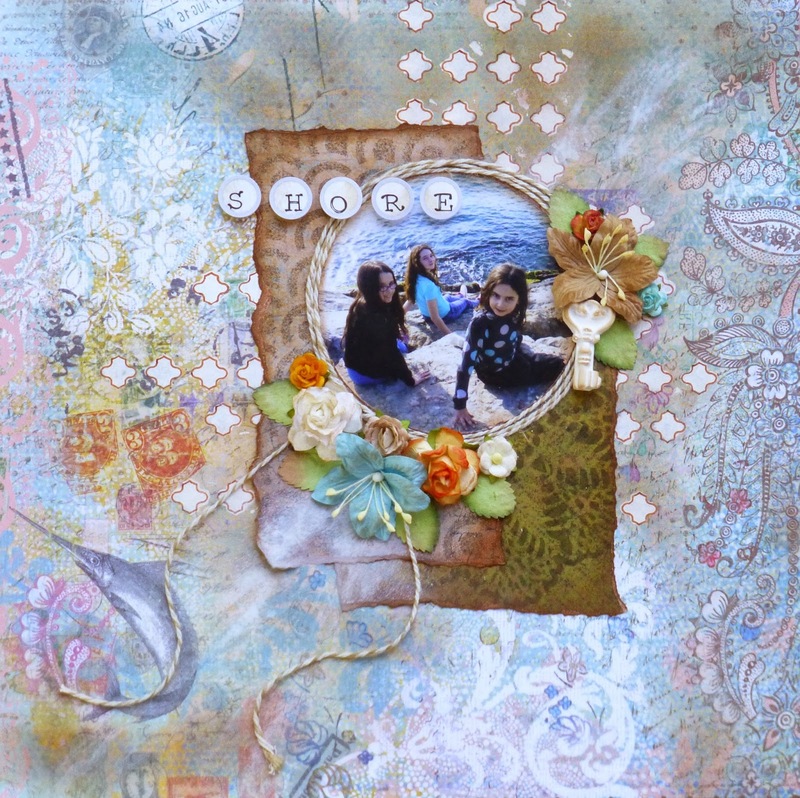 You will find posts about scrapbooking, cardmaking, Mixed media, altered object, tags... anything about papercrafts and so much more. My well-loved K&Company papers, Prima Marketing stencils, coffee bean spray ink by Inkadinkado, vintage photo distress ink by Tim Holtz, I Am Roses flowers and leaves, Dylusions white ink spray, Maya Road twine, Sticko alpha stickers, and a plaster key I just find yesterday in a closing store. A beautiful layout, so much inspiration. Gorgeous photo, layers and details! Thanks so much for joining us at C'est Magnifique!! Beautiful layout! Thanks for joining us at C'est Magnifique! Beautiful backgrund work on a very pretty layout! Thank for playing with us at C´est Magnifique kits! HUgs! Sorry to hear of the robbery! Glad you all are safe. Exciting to get the new scrap space!!! Lovely layout!! Lovely layout!! I love the cluster of flowers. Thanks for joining us at C'est Magnifique Kits!! 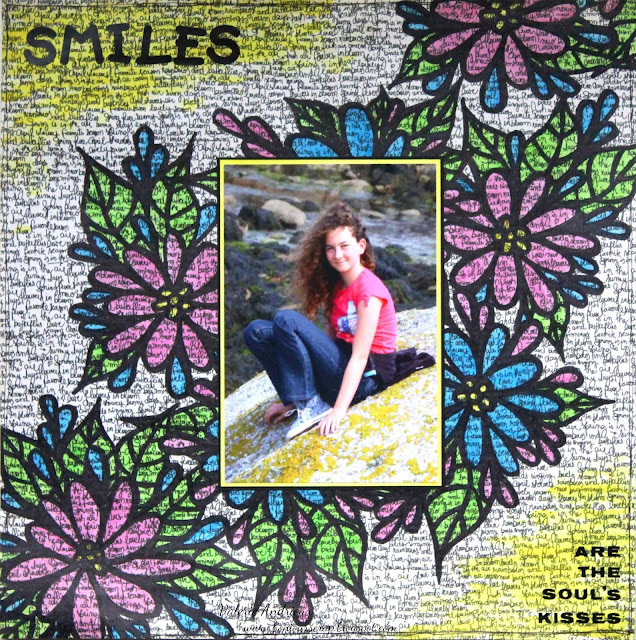 Bright colors and black stenciled design for your scrapbook page ! 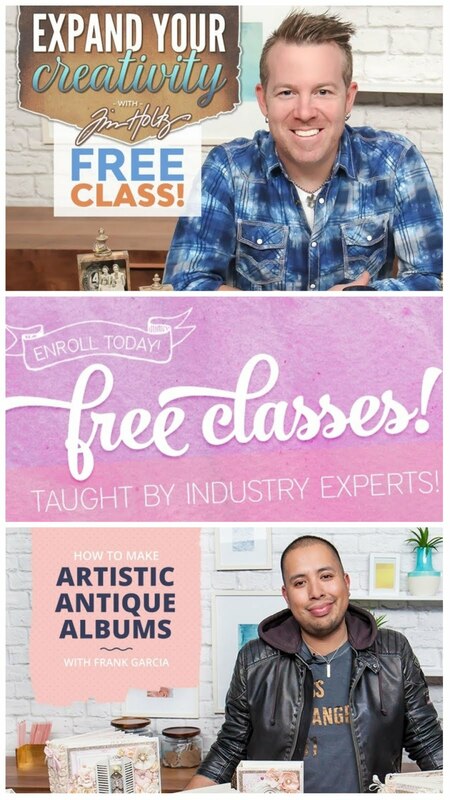 Don't miss the free classes ! As member of DTs, I receive products to create projects for brand. I also participate in affiliate programs. But I only use and promote products that I like and feel confident to share informations about. 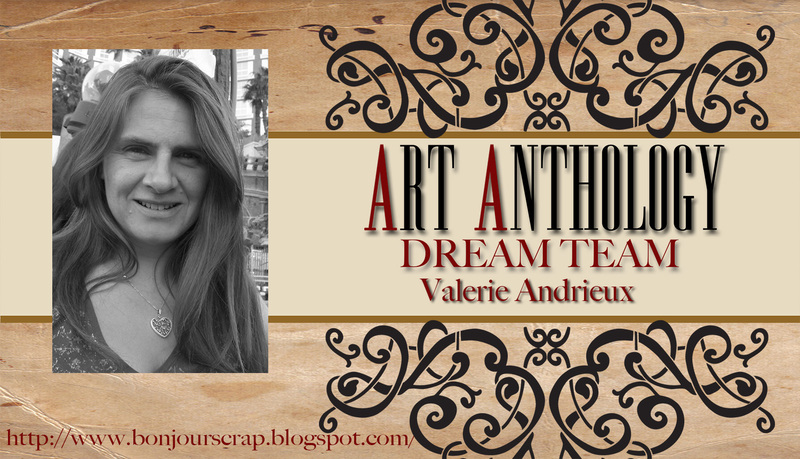 Artworks copyright © by Valerie Andrieux. All rights reserved. Just because I share my photos, tutorials or creations doesn’t mean that I give you the right to use them for your own profit. If you want to use any of my content on this blog please contact me and ask me for permission.